About 2 weeks ago I exchanged readings with the fabulous Charlie Cross, who I discovered on Instagram. He’s one of my favorite astrologers, so when he speaks, I listen. 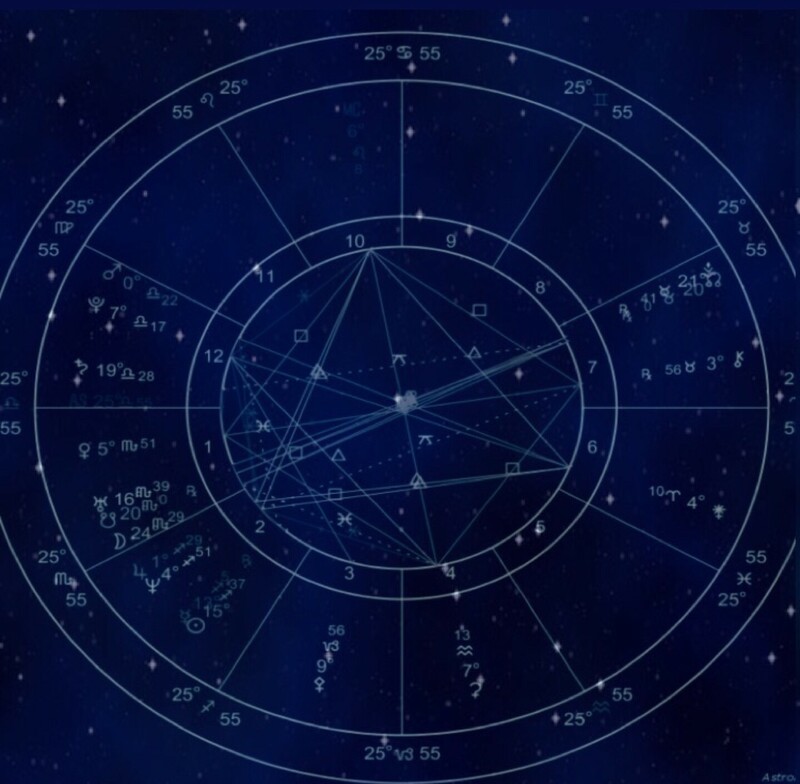 Many astrologers have said that I have the chart of a famous person because I have some rare aspects in my chart. Charlie said the same thing. He said that he had never seen some of the configurations I have in my chart. Specifically, he pointed out that with the minor planet Ceres and the Midheaven, I had an overlapping Grand Trine and Grand Cross. To me, this configuration looks like a pyramid. It’s interesting because I have a very vivid memory of life in Ancient Egypt. Charlie suggested that I meditate on my star chart, telling me to pay special attention to the shapes in the center. So I decided to start my meditations with focusing on the merkaba and the pyramid shapes I saw in the center. The process of getting to know my star chart through meditation has led me to have major break throughs in coming to understand my past, present and future. These break throughs would not have been possible without the inspiration I received from this reading. One break through is in how I view star charts in general. I now understand the power of taking a holistic approach to understanding my chart. I believe we choose our birthdays, so I feel like I’m beginning to understand how to decode the reasons as to why I took certain lessons on in this incarnation. I had no idea how powerful a personalized astrology chart could be until this reading opened up new horizons for me. I wanted to be able to really focus on the shapes in the center of my start chart so I turned the image into what looks like a blueprint and set it as the background of my phone. A modern witchcraft trick I practice is using an image I want to meditate on as the background of my phone. I look at my phone so much that I unconsciously get intervals of quick mediation throughout the day. I started off exploring the nature of the Grand Cross first. Its focus is the opposition of Venus in Scorpio in the 1st house and Chiron, the Wounded Healer, in Taurus in the 7th house. Charlie had no way of knowing why, but I was caught off guard when he explained this aspect to me. I keep the deepest details of my soul history to myself, but briefly, I was betrayed and stabbed through the heart chakra in a time so far away it could actually be a vision of the future. This is how I came to be incarnated on earth from my understanding of my soul history. The wound in my heart chakra has been a sucking hole for centuries. It’s like Fukushima Dai Ichi, the bleeding nuclear power plant in Japan. Strangely, I was living in Japan when Fukushima was wounded. I had no idea that this soul story was described in my chart until Charlie gave me a reading. Through meditating on my chart, I came to know that this heart chakra wound is what I have to heal to move on to the next level. I used to think that healing would come through reuniting with my Twin Flame, the one who betrayed and wounded me, but that reunion was not what I expected it to be at all when I finally met him. The whole situation left me with and understanding of why people say, “If you want true love, ask for a soul mate, not your Twin Flame.” So I have chosen to release this ancient pain by separating my mind, soul and heart from him. Perhaps we’ll find a way back to each other in Divine Timing. But for now it only makes the hole in my heart chakra bigger so I have to seek other ways to heal the wound. Another aspect of a Grand Cross in the fixed signs of the Zodiac is the tendency to feel pulled in different directions. The fixed signs are Aquarius, Taurus, Leo and Scorpio. I am a jack of all trades and a master of none. I spread myself too thin and often am left with half completed ideas and projects because I lack focus. From my personal research on Grand Crosses, I discovered that I should focus on one thing at a time because multitasking makes it difficult for me to finish projects. Another interesting thing about the phrase “Grand Cross” that has nothing to do with astrology is that it is a title of royal knights. 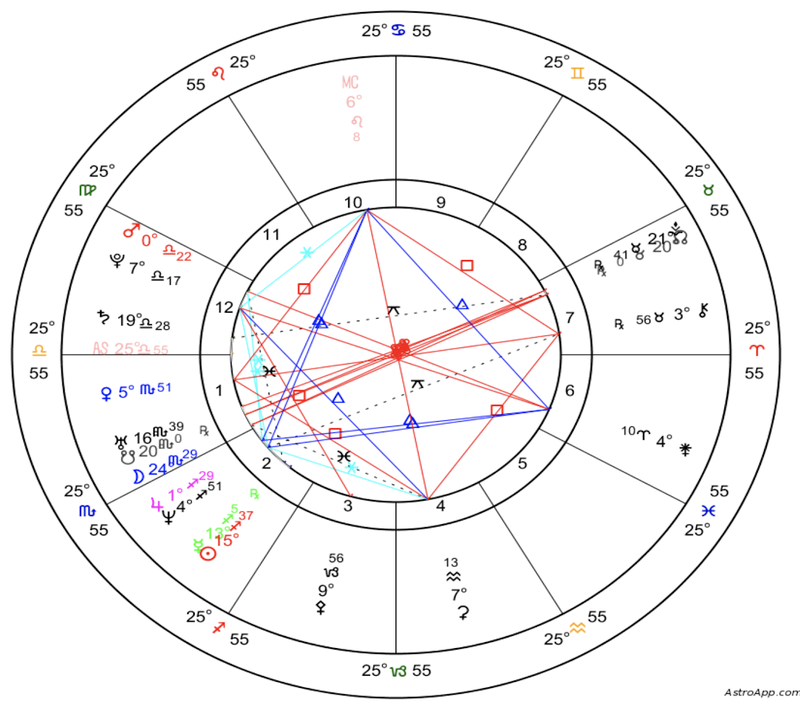 I mediated on the concept and asked the question if the Grand Cross in my chart may have foretold that I would join the Ancient and Mystical Order of the Rosicrucians, which historically has a connection with Knights Templar. The Grand Cross is also royal order and only royalty can have the title. I have had some past life memories of being royalty, so I meditated on it and the verdict is still out on that question. Further spiritual investigation is required. Next, I looked at the Grand Trine. The Grand Trine in my chart focuses on a Neptune-Jupiter trine, which indicates my capacity to be a great storyteller and guide through the mysteries. So I keep writing. I keep opening up to whatever Divine Consciousness is out there to use me as an instrument of peace. Looking to the future, there are also some big changes coming this year Charlie told me to be prepared for but I’m not announcing them yet. However, I am excited and curious about what he said. More details as things unfold. So if you want a really eye opening astrology reading, contact Charlie Cross. I feel much more in touch with my birthright and the lessons I agreed to learn in this incarnation. I have had numerous astrologers look at my chart and although I learned something from those readings, this is, by far, is the most insightful reading I’ve had yet. I also liked how Charlie encouraged me to take a look at my chart, meditate on it and come up with my own interpretations of what I discover to give it a more personal meaning. He is not only a reader but also a teacher. 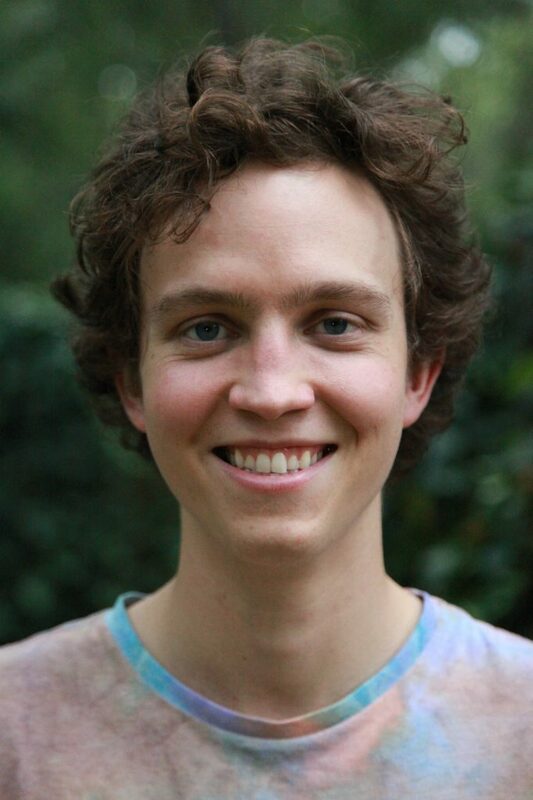 A Little About Charlie Cross: Astrology found Charlie in 2013, on the tail end of an initiatory healing journey. He was hooked immediately, quickly studied everything he could get his hands on and started giving readings. 5 years later, Charlie settled into a decently particular style. He uses the Sidereal Zodiac and integrates many minor planets and call in the Vedic Lunar Mansions. This is informed by his education in the esoteric and somatic. His goal is to present an embodied astrology, one that you can see and feel clearly. You can get a taste for his style in the forecasts he publishes regularly (which are often woven with art and poetry). Follow him on Facebook, Instagram, and check out his website for astrology guides and to learn about getting a reading. This entry was posted in art, Astrology, Evolutionary Tarot, mysticism, mythology, spirituality, Uncategorized, witchy, Writing and tagged astrology, astrologyally, Charlie Cross, divination, dreams, empowerment, meditation, metaphysical, motivational, mysticism, numerology, occult, pagan, predictions, psychic, self empowerment, self help, spiritual, spirituality, wicca, witchcraft, witchy, writing. Bookmark the permalink.